Death Comes Alive for Minecraft is a unique yet deadly mod which allows you to have several ways to kill your opponent who are trying to steal or destroy you. There are many other features of Death Comes Alive mod which can only be discover with playing it. So check it out.. Description: A deadly mod for Minecraft. Death (Mob) will attack you. Death's attack will kill you 2 shots (with no armor). Death has 40 heart. When its died drops Death Ingot. Death's spawn rate lower than other creatures. 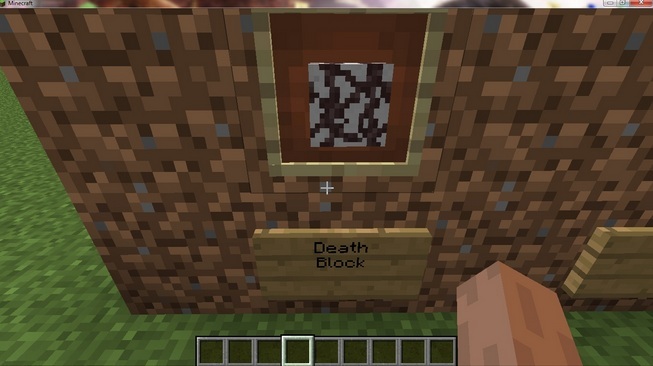 With Death Ingot you can create Death Block and Death Ingot only dropped by Death. Death Block has same strength other blocks. Death Bush will light up. You can find it over the world or you can craft it. Also you can use Death bush for craft Death Food. When you eat Dead Food, Your damage will increase. You can craft Death Ingot with Death Ingot Part. If you smelt Death Bush, you will have Death Ingot Part and If you kill ghosts you will have Death Ingot Part. The Ghost's damage is normal but its heart is 40. Ghost's spawn rate is very low. When its died drops Death Ingot Part. The Ghost Girl's damage is normal but its heart is 40. Ghost's spawn rate is very low. When its died drops Death Ingot Part. 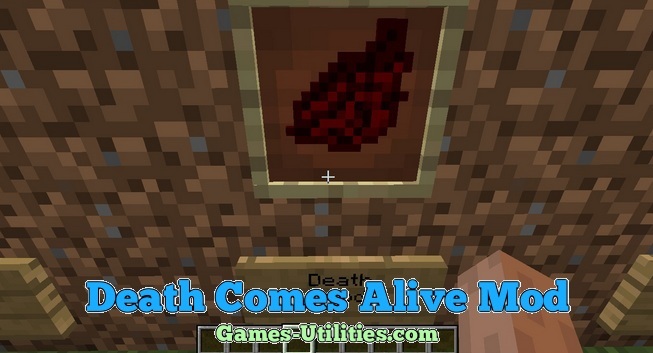 We assume that you will have a blast while playing Death Comes Alive mod for Minecraft. Please keep one thing in your mind that if you are having some trouble related to this mod report it via comment section. Keep coming here to check the latest updates of your favorite game online.